We’re switching things up for the Christmas season! 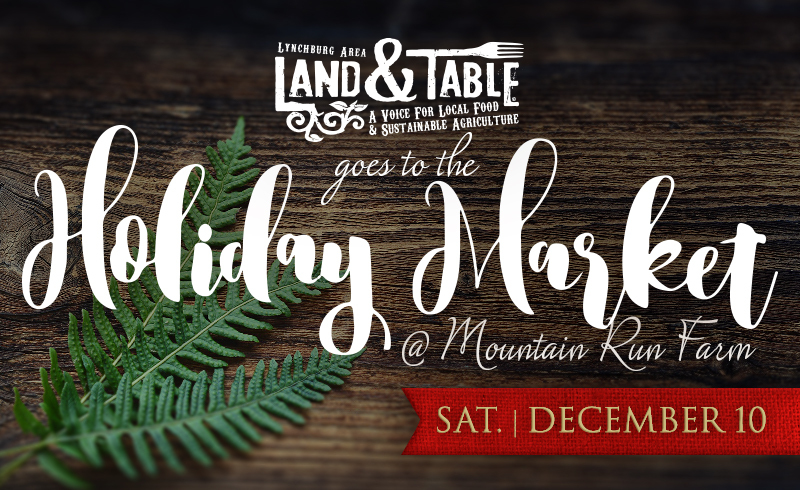 Instead of our normal monthly gathering we’re inviting you to join us Saturday, December 10th (10am-4pm) at the annual Holiday Market at Mountain Run Farm in northern Bedford County. We will have a table there, maybe some hot cider or kombucha and will be taking reservations for our first ever ‘Grow Local’ t-shirts that we hope to release in 2017 (we plan on doing bumper stickers as well!). Are you interested in becoming a t-shirt sponsor (names and logos will go on the back) or want to reserve a shirt? 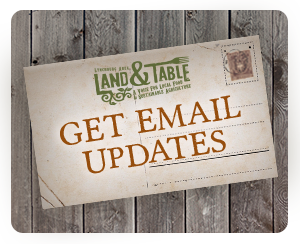 Contact us here on the website or find us at the Holiday Market and we’ll have a sign-up sheet there. Support the local creative economy! Bring cash and keep our artisans thriving! Learn more and get directions at the Mountain Run Farm website. View the vendor list and RSVP on Facebook. When you are done at the Holiday Market, head on over to the Sedalia Center for more holiday cheer – including ‘selfies with Santa’, kids crafts, gift wrap station, baked goods, and much more. Get details on the Sedalia Center website. And finally – if you are interested in camping gear, tents, truck caps, storage, locally-crafted bags, travel fridges, and more outdoor travel gear – head down to the old Bedford Hardware building in Centertown Bedford for Blue Ridge Overland Gear‘s ‘overlander’ flea market (buy, sell, trade – in collaboration with Mountain State Overland) also on Saturday, December 10 until 5pm.